American Century Investments is a leading global asset manager focused on delivering investment results and building long-term client relationships since its founding in 1958. Serving investment professionals, institutions, corporations and individual investors, the firm offers a variety of actively managed investment disciplines. Delivering investment results to clients enables American Century Investments to distribute over 40 percent of its dividends to the Stowers Institute for Medical Research, a world-class biomedical research organization. The Institute owns a controlling interest in the firm and dividend payments ensure the ongoing support of important work that can improve human health and save lives. 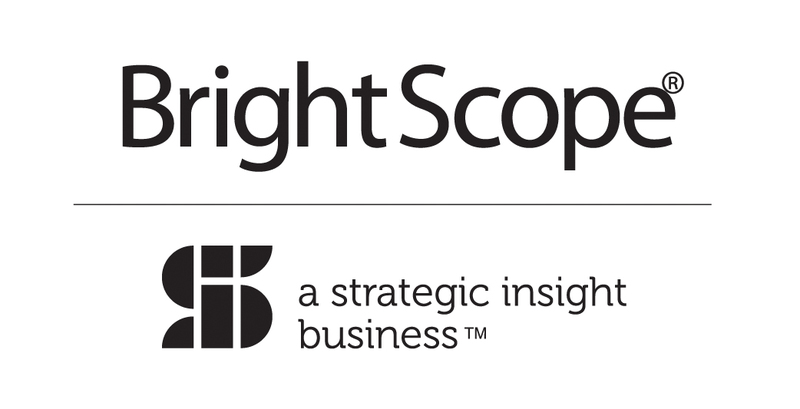 BridgePoint is a business consulting firm that provides transformative ideas, industry perspective and practical planning for the financial services industry. Our broad experience gives us the depth of expertise to help organizations grow and thrive. Working side by side with our clients, our team of subject matter experts draws on firsthand experience to create value and growth by providing pragmatic strategies and solutions. For more information on BridgePoint, please visit our website at www.getbridgepoint.com. Empower Institutional is one of the nation's largest and fastest-growing recordkeepers. For over twenty years, we have helped institutions expand their retirement service offerings and grow their brands with customizable, flexible and scalable solutions. As a behind-the-scenes extension of an organization, we empower institutions to focus their energy and investments on their core competencies, remain on the leading edge of technology and innovations, create efficiencies while adding to their bottom line and maintain their autonomy while growing their client relationships. For more information, please visit us at www.empowerinstitutional.com. FIS Retirement Solutions brings industry leading solutions together from Omni, Relius and Reliance Trust, to empower any size retirement plan provider with a comprehensive, integrated suite of retirement solutions, including: recordkeeping and plan administration, fiduciary and compliance requirements, collective investment trusts, custody and directed trustee services, retirement readiness and participant engagement, back-office outsourcing, and much more. Fisher Investments is a leading independent investment adviser, managing over $98B in assets, including $42B for over 180 institutional clients around the globe (as of June 30, 2018, includes affiliates). To help institutions reach their investment goals, the Fisher Investment Institutional Group offers a broad array of global, US, non-US, and emerging markets equity strategies with various capitalization, style orientation, and ESG considerations. With experience in serving the investment needs of retirement plans in over 18 countries, the Fisher Investments Institutional Group has committed itself to improving the investment options available to the US Defined Contribution retirement plan sponsors and their participants. Our new innovative Personalized Retirement Outcomes (PRO) solution provides plan participants with personalized asset management tailored to their individual circumstances and goals, yet at a cost comparable to most actively managed target-date funds. Plan sponsors can finally feel comfortable providing these personalization benefits to both their defaulted and engaged participants at an appropriate price for a QDIA and with 3(38) investment manager fiduciary protection. For over seven decades, institutions and individuals around the world have viewed Franklin Templeton Investments as a trusted partner in asset management. We manage over $200 billion in U.S. retirement accounts and leverage the expertise of multiple, independent investment teams to deliver truly specialized expertise across a wide range of styles and asset classes, from traditional to alternative and multi-asset strategies, including innovative retirement plan investment solutions. GoldStar Trust Company, founded in 1989, is one of the nation's leading Self Directed IRA Custodians for alternative investments including but not limited to: precious metals, private stock, REITs, Hedge Funds, LPs, LLCs, promissory notes, bank stock and church bonds. GoldStar is also a Trustee and Escrow/Paying Agent for bond issuances. GoldStar Trust is backed by the strength and confidence of Texas-based Happy State Bank, founded in 1908. GoldStar Trust Company also provides an automatic rollover solution to eliminate the administrative burden of missing or non-responsive former employees in employer sponsored 401k plans. For more than 50 years, Lincoln Financial Group's Retirement Plan Services (RPS) business has been helping savers boost their retirement readiness through employer-sponsored plans. Our retirement plans help employers recruit and retain top talent, while our combination of high-tech and high-touch service creates an engaging customer experience that drives positive outcomes. The RPS business helps people understand how steps they take today can help them get to and through retirement tomorrow. The business serves approximately 1.4 million participants through 21,000 plan sponsors with $63 billion in assets under management as of June 30, 2017. Headquartered in Radnor, Pennsylvania, Lincoln Financial Group is the marketing name for Lincoln National Corporation (NYSE:LNC) and its affiliates. The company had $241 billion in assets under management as of June 30, 2017. PenChecks Trust is the largest independent provider of outsourced benefit distribution services and auto rollover IRAs. With 20+ years in business, PenChecks helps TPAs, Advisors, Providers, and Plan Sponsors with a variety of issues they face in managing retirement plans. Services include solutions for Benefit Payment Processing and Tax Remittance, Automatic Rollover IRAs for Missing and Non-Responsive Participant, Uncashed Check Resolution, 1099-R Processing, Abandoned Plan Administration (QTA), Plan Termination Services, Participant Locator Service, & Participant Notifications. Pidalia is a digital agency that produces communication and technology solutions for our clients. Our best asset is a fearless desire to learn. As a small team, we are able to immerse ourselves fully in our clients' brand and industry, and coordinate our resources with focused precision to build bespoke solutions. We relish the opportunity to combine design thinking and bleeding-edge technology to create successes for our clients, on time and on budget. PIMCO is one of the world's premier fixed income investment managers. With our launch in 1971 in Newport Beach, California, PIMCO introduced investors to a total return approach to fixed income investing. In the 45+ years since, we have continued to bring innovation and expertise to our partnership with clients seeking the best investment solutions. Today, we have professionals in 14 offices around the globe united by a single purpose: creating opportunities for investors in every environment. For more than 140 years, Prudential Financial, Inc. has helped individual and institutional customers grow and protect their wealth. Today, we are one of the world's largest financial institutions with operations in the United States, Asia, Europe, and Latin America. We also have one of the most recognized and trusted brand symbols, the Rock, an icon of strength, stability, expertise, and innovation. Prudential Retirement, an integral part of the Prudential Financial tradition since 1923, delivers retirement plan solutions for public, private, and nonprofit organizations. Our services include state-of-the-art recordkeeping, administrative services, investment and risk management, comprehensive employee communications, and trustee services. Prudential Retirement is proud of its accomplishments: managing more than 9,000 plans, $429.1 billion in retirement account values and Over 4 million participants and annuitants (all figures are as of December 31, 2017). Custodia Financial is a collaboration of industry veterans formed to improve retirement outcomes and reduce fiduciary risk by preventing loan defaults. The experts at Custodia Financial have a proven history of using technology to introduce attractive new products and services that improve defined contribution outcomes. When participants lose their jobs and are unable to repay their loans, 86% default, increasing financial problems for participants and fiduciary risks for plan sponsors charged with preserving retirement benefits. To address this problem, Custodia created an innovative, regulatory and tax compliant program called Retirement Loan Eraser (RLE) which is the only automated solution that prevents loan defaults before they occur. RLE is a simple, affordable program that ensures employees reach the retirement they deserve. DST is now part of SS&C Technologies. DST is a leading provider of specialized technology, strategic advisory, and business operations outsourcing to the financial and healthcare industries. DST delivers flexible technology and business outsourcing solutions to help retirement plan providers, advisors and TPAs create lifetime engagement models for participants. Our retirement account servicing, rollover and income portability, plan health and analytics, advisor practice management, and personalized education capabilities span all plan and investment types, promote retirement savings, help clients support their fiduciary obligations, and can enhance the participant experience. Learn more at: www.dstsystems.com/retirement. Stadion Money Management is a privately owned money management firm based near Athens, Georgia. Since being founded in 1993, our goal has been to help investors -- through their advisors or company retirement plans -- protect and grow their "serious money." That is, the money that absolutely must be there for the important long-term goals like retirement, education, and future family legacy. A common value pervades our company culture: do right by our clients. We believe that building and safeguarding a financial future should not be confusing or overwhelming for investors. While our team of experienced money managers do some pretty complicated things to build and manage portfolios for the modern market, we strive to keep our communications with clients clear and straightforward. And we're only a phone call away. Thornburg Investment Management is a privately owned global investment firm that offers a range of solutions for institutional investors and investment advisors. Founded in 1982 and headquartered in Santa Fe, New Mexico, the firm oversees $48 billion as of May 31, 2018, across mutual funds, institutional accounts, separate accounts for highnet-worth investors, and UCITS funds for non-U.S. investors. At Thornburg, we believe unconstrained investing leads to better outcomes for our clients. Our culture is collaborative and our investment solutions are highly active, high conviction, and benchmark agnostic. When it comes to finding value for our clients, it's more than what we do, it's how we do it: how we think, how we invest, and how we're structured. For more information, visit www.thornburg.com. ADP provides recordkeeping services for a wide range of retirement plan types to meet the needs of small-, mid- and large-sized companies. The quality and experience of our dedicated service teams, plus our innovative technology, deliver a client experience that makes plan administration easy. Founded in 1887, Ameritas Life Insurance Corp. and its affiliated companies offer a wide range of insurance and financial products and services to individuals, families and businesses. These products and services include life insurance; annuities; individual disability income insurance; group dental, vision and hearing care insurance; retirement plans; investments; asset management and public finance. Securities offered through affiliate Ameritas Investment Corp., member FINRA/SIPC. For more information, visit ameritas.com. With ASC's Compliance Testing System, testing is faster, freeing you up to offer more valuable planning and consulting services for your clients. New product, ASC-Drive, is the next-generation in automation, allowing Plan Sponsors to initiate their own testing online -- with your Compliance Experts available to help along the way. Standard iterative processes are automated with Single Step Processing. Plan and employee data from your recordkeeping system can also integrate with ASC. ASC's suite of solutions includes Plan Documents, 5500 Forms, and Valuation/Recordkeeping Systems. Learn more about why ASC is a retirement industry leader. Contact us today. BizNuvo provides a suite of technology products that enable self-service and rapid delivery for end-to-end digital servicing and digital operations needs. BizNuvo Designer is easy to use and provides powerful enterprise capabilities for building and servicing your clients. Empower your business with technology that is accessible to everyone to achieve breakthroughs in innovation and acceleration of outcomes for your digital business strategy. 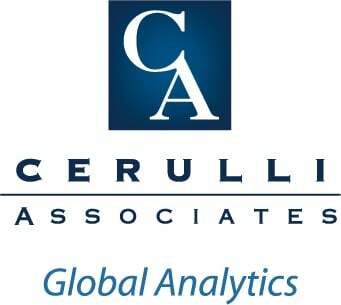 Founded in 1992, Cerulli Associates is a research and consulting firm specializing in asset management and distribution trends worldwide. Headquartered in Boston, Cerulli also has offices in London and Singapore. Cerulli blends original research and data analysis to bring perspective to current market conditions and forecasts for future developments. Cerulli provide firms with guidance in strategic positioning and new business development through a suite of research publications, an online data platform, and through custom research and advisory services. Cerulli's core product lines are complementary and include: The Cerulli Report Series, The Cerulli Edge Series, Cerulli Lodestar and Consulting & Custom Research. Leading market research firms Market Strategies International and Morpace bring clients closer to their customers through exceptional insights, which includes deep expertise in financial services, specifically among wealth, banking, payments and insurance organizations. The firms specialize in brand, customer experience, product development and segmentation research, and are known for blending primary research with data from syndicated, benchmarking and self-funded studies to help clients succeed. The syndicated products, known as Cogent Reports, help clients understand the market environment, explore industry trends and monitor their brand within the competitive landscape. Convergent is a retirement technology firm that delivers innovative solutions and world class expertise. Our knowledge of the retirement business, understanding of industry products and deep technology expertise separates us from the crowd. Our industry expertise ranges from the micro to the very large plan market and our solution engineers have decades of end to end retirement processing knowledge ranging from system upgrades or conversions to developing custom record keeping solutions. Superior technology, measurable results and smart solutions are what enables us to deliver a degree of difference and Be Convergent. dailyVest delivers software that recordkeepers, financial institutions, and financial service providers need to adapt and succeed in a time of rapid DC industry change. We combine four elements -- recordkeeping system data connections, actionable analytics based on key plan health metrics, digital experience, and seamlessly integrated retirement readiness and managed account data from GuidedChoice -- All within a big data technology platform that enhances a provider's ability to engage and empower plan sponsors and advisors, and plan participants. More than 60,000 plans use PlanAnalytics to monitor plan health, and over 12 million participants and investors have access to dailyVest-generated content. Visit us at: dailyvest.com. Delta Data provides the back-end solutions that companies in the mutual funds industry use to process billions of dollars of transactions and keep on top of their data. With companies in the fund industry facing constant change from regulatory, technology, industry and even internal sources -- Delta Data helps them see the change through advisory services, get ahead of the change and stay on course without introducing new risks into their systems. Many of the biggest names in financial services rely on Delta Data. For more information please visit deltadata.com. With more than 40 years of experience, DTCC is the premier post-trade market infrastructure for the global financial services industry. From operating facilities, data centers and offices in 16 countries, DTCC, through its subsidiaries, automates, centralizes and standardizes the processing of financial transactions, mitigating risk, increasing transparency and driving efficiency for thousands of broker/dealers, custodian banks and asset managers. Industry owned and governed, the firm simplifies the complexities of clearing, settlement, asset servicing, data management and information services across asset classes, bringing increased security and soundness to financial markets. To learn more, please visit us at www.dtcc.com/mutualfundservices. Fiduciary Benchmarks (FBi) serves as an independent, comprehensive and informative benchmarking service that helps service providers and the plan sponsors they serve fulfill their duties under ERISA. FBi believes that fees must always be weighed against Quality-Services-Value and if done properly the process can produce a win-win-win scenario for Service Providers, Plan Sponsors and Participants. Fluent is a FinTech company that develops software solutions for the Investment Community. We focus on the needs of retirement plan professionals and the products they represent. We are entrepreneurs and innovators, with direct industry experience and consumers of the industry's products and services. We are committed to addressing the challenges and market trends to help the Retirement Community succeed, and bring 25 years of experience to ensure successful client outcomes. Our mission is to improve the practices and resources of plan professionals, so they can GUIDE their plan sponsors and participants to informed decisions, actions and satisfaction. Our vision is that every plan provider, advisor and client is aware of their position in a retirement plan benefit and can easily act to influence outcomes. FPS Trust is a privately held custodian concentrating on administrative services for auto rollover and customized voluntary IRAs, distribution processing and retirement plan record keeping. FPS operates with over $1 billion in assets under custody and opened over 300,000 accounts. The FPS IRA programs offer exceptional value because of our one low fee and our generous crediting rate, plus the IRA is built on a modernized platform which provides our partners enhanced tools like financial account aggregation, integrated financial wellness options and personal pension plan modeling. FPS is the new gold standard for client expectation and user experience. GlobeTax is the leading provider of withholding tax recovery services for investors receiving cross-border investment income from American Depositary Receipts (ADRs) and foreign ordinary shares. Qualified Retirement Plans are often entitled to reclaim the entire withholding amount from the foreign government (dependent on market and applicable treaties). Subscription to GlobeTax's tax reclaim service is risk-free and fees are contingent upon successful recoveries. Tax reclamation is a powerful tool for increasing investment performance! Contact us for a free analysis at info@globetax.com. Gradifi is an innovator in student loan and college savings employee benefits for U.S. employers. Gradifi's mission is to help employers become an employer of choice and build loyalty with their workforce and by allowing them to offer benefits that positively impact their employees' financial well-being. Gradifi offers a single-platform solution to allow employers to offer employees student loan refinancing opportunities, and employer-sponsored contributions to student loans and 529 college savings plan accounts. Today Gradifi serves over 400 clients across all sizes and industries. END TO END SOLUTIONS FOR RETIREMENT PLANS - Infosys McCamish Systems supports a financial institution client base with its full service 409A compliant non-qualified administration platform, VPAS Benefit Plan Administration. With its front-end Internet based sales enabling services, AdvisorfolioTM and Deferral +, Infosys McCamish Systems also provides automated best practice sales and design solutions in a turn-key platform. This plan design and sales platform cost effectively leverages scarce expert talent and enables non-expert distribution to deliver best practice 409A compliant solutions to the underpenetrated mid-market. Infosys McCamish Systems offers their solutions as platform only Software as a Service, or as a full recordkeeping outsourcing arrangement. With the merging of McCamish Systems into the Infosys family of companies, offerings include Qualified Retirement Plan Services in the DB & DC markets with both onshore and offshore delivery models. For more information please contact Ed Edwards at edwin_edwards@infosys.com. 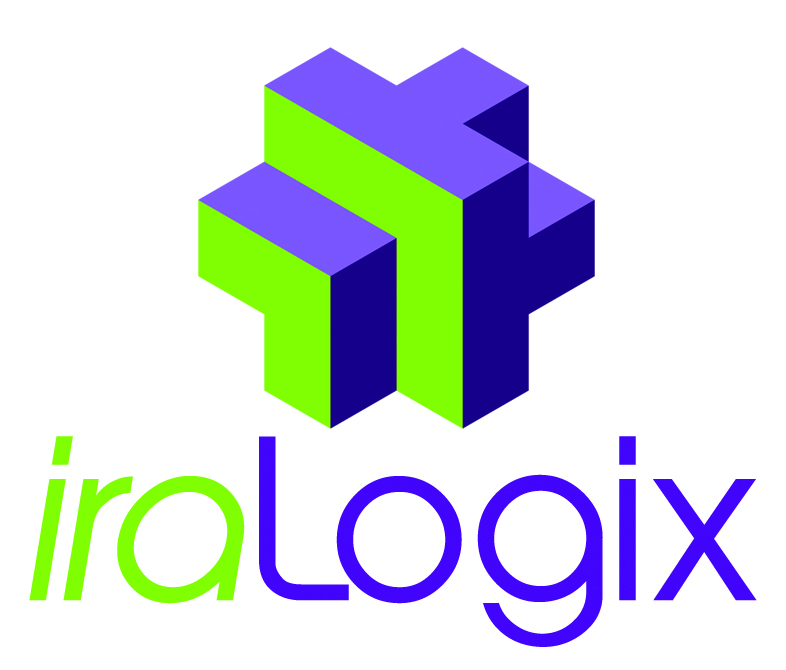 iraLogix is an industry-leading provider of technology-enabled, fully paperless, white label IRA recordkeeping solutions. The company's everyIRA(r) recordkeeping and technology solutions enable any financial institution to easily customize their IRA offering and compete effectively in all segments of the IRA market. Through modular technology, clients have the choice to use their internal investment or advisory capabilities or select from a number of industry leading providers, as desired. Regardless of market strategy, iraLogix can streamline your IRA service options and expand your business. Invesco Ltd. has provided investment solutions to DC plan sponsors for nearly 40 years. As an independent firm, our global organization is solely focused on investment management, with more than 7,300 employees worldwide dedicated to delivering an investment experience that helps people get more out of life. We are privileged to manage more than $963 billion in equity, fixed income, money market, target date and alternative investments on behalf of clients around the world. All data as of June 30, 2018. AUM figure includes all assets under advisement, distributed and overseen by Invesco. Please consult your Invesco representative for more information. Laurel Hill Advisory Group is the number one independent cross border provider of Shareholder Communications and Asset Recovery services in North America. Additionally our missing participant compliance services seamlessly supplement our clients existing operations. Our services meet DOL and IRS guidelines fulfilling your fiduciary duty to missing participants by using best efforts due diligence and minimizes potential regulatory fines and penalties. Our solution follows strict security policies and procedures. The LIMRA LOMA Secure Retirement Institute provides comprehensive, unbiased research and education covering all aspects of the retirement industry. It also offers a forum for senior leaders across the financial services retirement landscape to identify and explore the challenges Americans face surrounding retirement. Secure Retirement Institute's goal is to spur innovation and broaden industry collaboration to help improve retirement readiness and promote retirement security. Merrill Corporation provides secure, innovative solutions to complex content and communications requirements. With our deep financial industry expertise, exceptional service and innovative technology, we are a trusted partner in ensuring our clients' success at every stage in the life cycle of regulated business communications. Rely on Merrill's forward-thinking technology to efficiently create and manage differentiated, personalized experiences for all your stakeholders -- participants, plan sponsors and advisors. A single platform that works with your business. We partner with customers to provide multi-channel communication management and delivery solutions to meet their unique digital, print and distribution needs. Visit www.merrillcorp.com to learn more. Retirement Industry companies need a better way to solve customer communications problems. Our Messagepoint platform gives your non-technical users a smarter way to manage your print and digital content. Full control of your content = full control of your customer experience. Millennium Trust is an expert provider of retirement solutions. We've been there since the start of automatic rollover IRAs, developing streamlined systems and unparalleled expertise in the field. Our clients include Fortune 100 corporations and more than 70,000 other employers looking to reduce the operating burden of small-balance retirement accounts. We also offer a robust suite of services to meet your evolving needs - all designed to help you reduce costs and liabilities, and better serve plan participants. O'Neil is a leader in innovative data-driven technology to produce and deliver compliance-driven, marketing communications and other business critical documents for the financial services industry. O'Neil creates solid business applications for our client's unique data driven needs by leveraging our core-competency in complex data-processing print and distribution. O'Neil Digital Solutions makes it easy for you to strengthen your customer relationships by communicating how they prefer. We offer a complete Omni-channel communications platform for creating and delivering personalized documents, anywhere your audience wants to receive them -- via mobile, web, email or print. INVEST WITH CONFIDENCE -- T. Rowe Price is an asset management firm focused on delivering global investment management excellence and retirement services that investors can rely on -- now, and over the long term. We provide an array of commingled funds, subadvisory services, separate account management, retirement recordkeeping, and related services for individuals, advisors, institutions, and retirement plan sponsors. Our intellectual rigor helps us seek the best ideas for our clients, our integrity ensures that we always put their interests first, and our stability lets us stay focused on their goals as we pursue better investment outcomes. As of June 30, 2018, T. Rowe Price has more than USD $1,044 billion in assets under management and serves clients in 48 countries worldwide. VMS is one of the nation's leading providers of data, financial networking, and account aggregation technology. For 25 years, VMS has designed, developed and hosted accounting and securities process-and-control solutions as well as provided market data for many of the largest financial institutions in the United States. VMS' core products include a comprehensive securities data solution, a centralized process-and-control solution and an innovative revenue-tracking platform. We Understand the Power of Messaging, Timing and Media That Engage and Drive Action. vWise is relentlessly focused on creating highly interactive experiences that boost confidence and drive informed decision-making. We base our solutions on behavioral finance fundamentals and the way today's digital-savvy audience consumes content. vWise solutions deliver relevant, bite-sized modules of information that can be watched, skipped and watched again. At any point in their journey, participants can learn more by accessing engaging videos that address timely topics, including asset allocation, equity styles and retirement risks. Whether they are new to their benefits programs or seasoned investors, individuals can direct their experience to meet their specific needs -- anytime, anywhere, on any device.